Reach employees, customers, visitors or more inside your building or workplace with an Indoor LED Sign. Indoor LED displays by Electro-Matic Products, Inc are the perfect solutions for reaching employees, customers, visitors, or anybody inside your workplace. Our indoor programmable LED signs communicate real-time information, send safety messages, post productivity, promote company events, announce anniversaries, birthdays or major achievements. 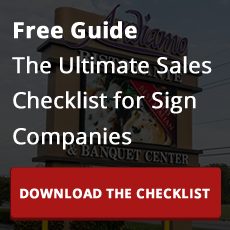 With the many options these signs offer your will be able to reduce cost and time, support team building and easily communicate important information with your employees. Our broad line of scrolling LED displays are flexible and can be used in a wide range of applications from storefront windows to church, schools, retail, churches, restaurants, financial institutions, factory, and mass notification systems. These indoor LED displays can grab your target audience's attention with scrolling, flashing, and audio capability. These LED scrolling led displays can be programmed with our Sigma software or our Handheld Remote Control. Many of these models are in stock and available for immediate delivery. The 4U2SEE PRO line of LED display models offers a durable, low cost industrial andon display solution ideal for production counts and data display. The high resolution LED display is serviced from the front and offers a workable lifespan of over 100,000 hours. These make great led window displays! Bright enough to be used in a storefront window without washout. Electro-Matic is the World leader in these Andon Industrial LED Display systems with over 20 years of experience and thousands of installations worldwide. See more on our industrial displays.